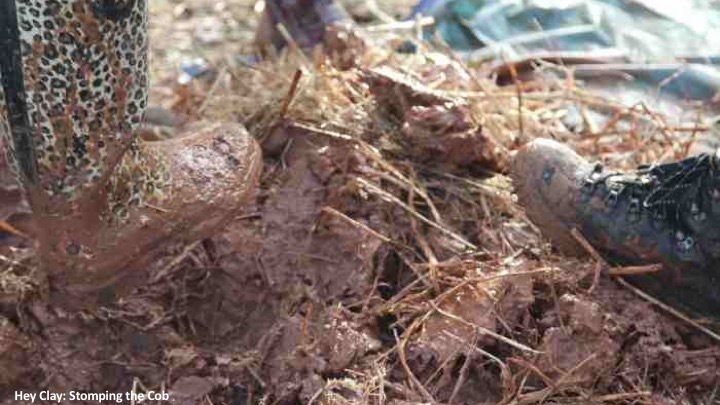 There is a growing recognition of the potential of clay in socially engaged projects. It is a unique material. 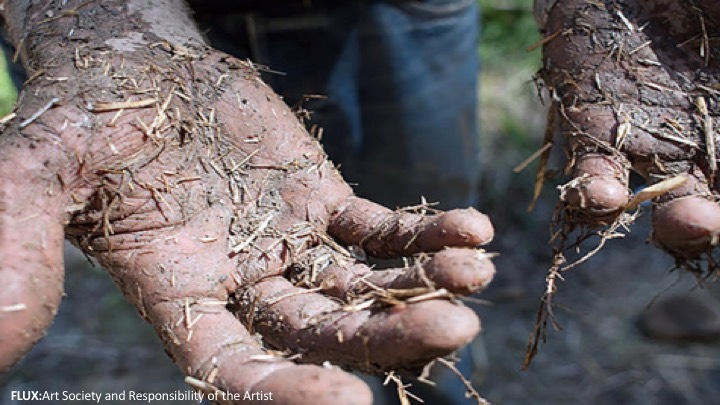 It is the earth beneath our feet, connecting us all, accessible, democratic, with an immediacy to register touch and unrivalled capacity to re-establish our sense of corporeality, agency and creativity. 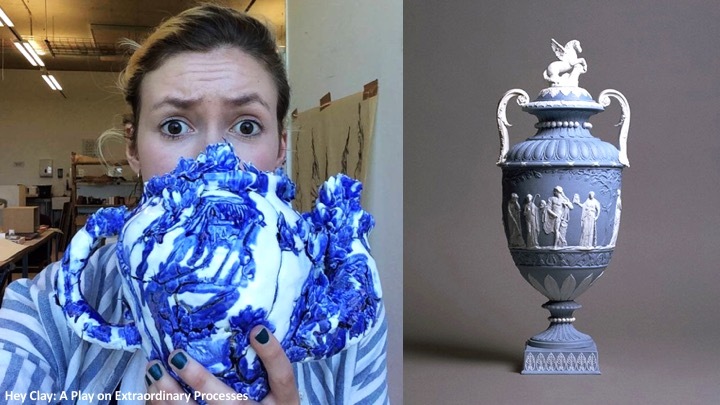 CSAD Ceramics has played an integral role in this social zeitgeist as part of its responsibility to bring contemporary ceramics discourse to students. Working with: Artworks Cymru, Greenman Music and Arts Festival, Craft Councils ‘Hey Clay’ initiative as well as staging our own public events: ‘Beyond Borders’, the ‘Growing Exhibition’, such projects contribute more than mere context for students learning. Students are exposed to alternative approaches to creativity that can extend and feed into their practice. it stretches their reach beyond the confines of the studio, to engage with diverse audiences both within and beyond the art world. 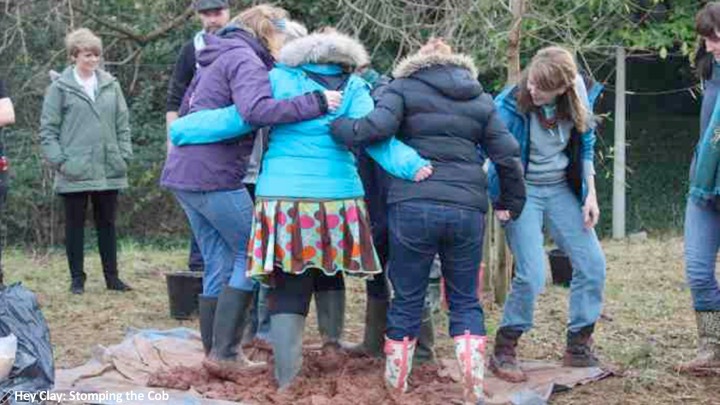 The Ceramics department carefully chose the nature of our event to be one that bought people together and demonstrated how working with the earth can reassert our connection to it and with each other. 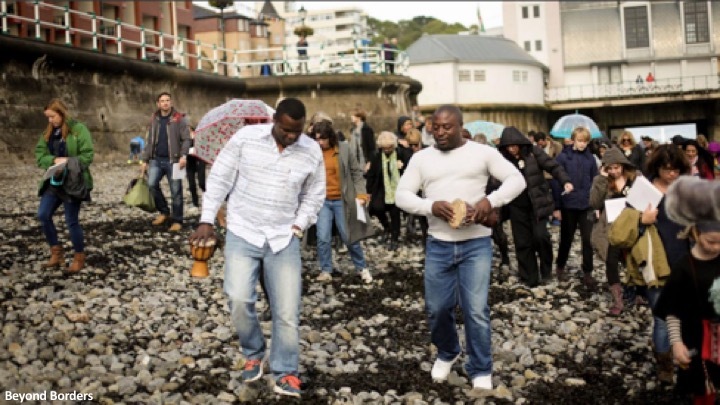 Throughout the day we had a range of activities where people were invited to participate. 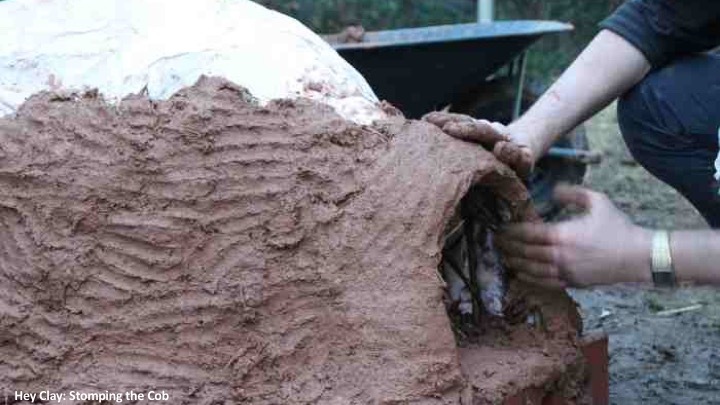 The amazing and talented (CSADCeramics graduate) Imogen Higgins stole the day with her sculptural cob oven and lecture explaining the versatility and significance of the techniques/approach across the globe. Other activities included (L6 student) Jen Hawthorn’s large-scale sculpture teaching us her techniques of coiling which she learned on Erasmus in Sweden. 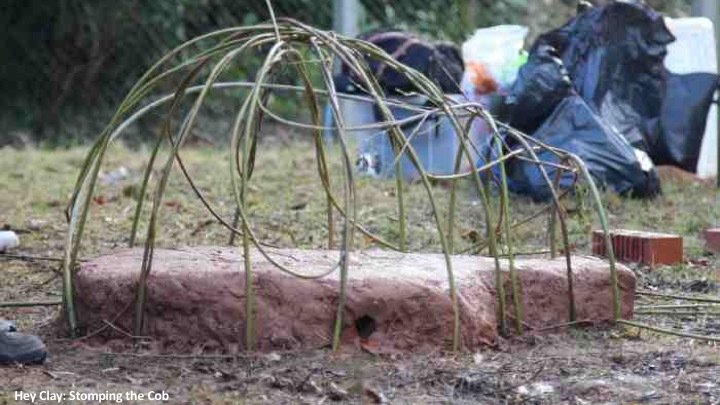 Jessica Dent and Mikky Saunby (L5 and L6 students) ran a workshop teaching the rudiments of building your own cob oven, with methods researched and tested over the summer by (L6) Ellie Cooper, the range and the beauty of each oven to be potentially scaled up for cooking pizza. I had an amazing day, truly inspiring and proactive experience that brought people together to celebrate the mucky stuff we are essentially made out off and can’t live without. 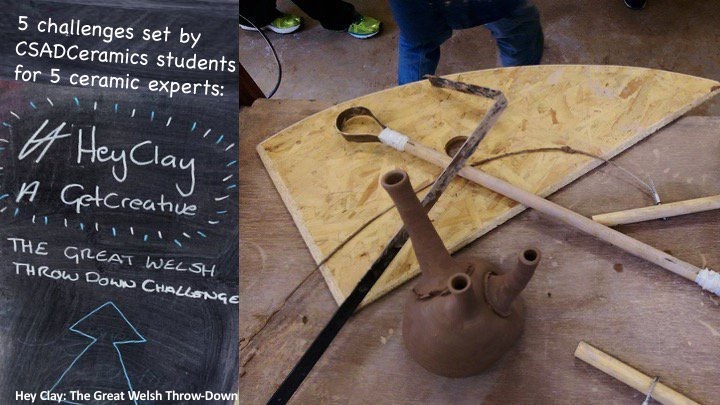 I was asked to set a challenge for a panel of ceramic experts as part of our Hey Clay event the ‘Great Welsh Throw-down’. My work explored shapes created by coil building and incorporated thrown objects, so I set the experts the task of building a coiled form around a thrown cylinder. I had to host this part of the event explaining what was involved along with a demonstration, it was essentially teaching but in front of a large audience which really helped equip me for life after studies as I started work as a Graduate Teaching Intern. Providing feedback and constructive criticism was also part of the challenge which definitely helped when working with GCSE, A Level and IB students! Being a part of this event really helped with my professional practice allowing me to explore the use of ceramics outside of the studio. These events were a valuable part of my university experience in understanding the wider world of ceramics and the transferability of its skills. Over the years at Cardiff School of Art and Design I have participated in more than my share of ‘Hey-Clay’ events and have found each a gift of information and more importantly fun! From cob stomping to throwing with oversized turning tools, through skill sharing to concrete poetry, the one defining factor of these events has been participation and that has been a wonderful thing whichever side you sit on. 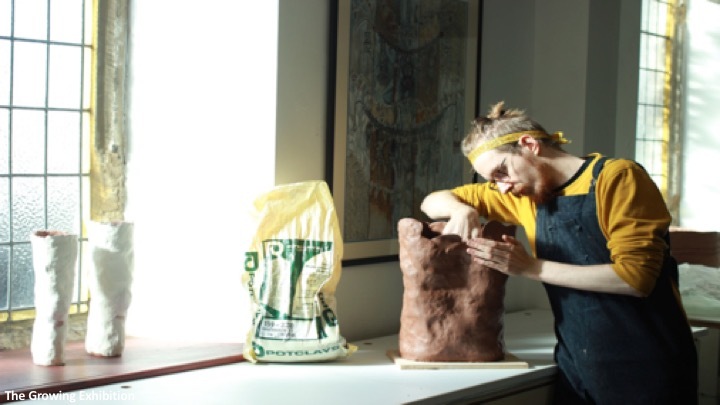 As a student it has given me the opportunity to engage with a variety of different people and share the wonder of the material we call clay, an opportunity that is far too rare in this country at this level of material understanding. 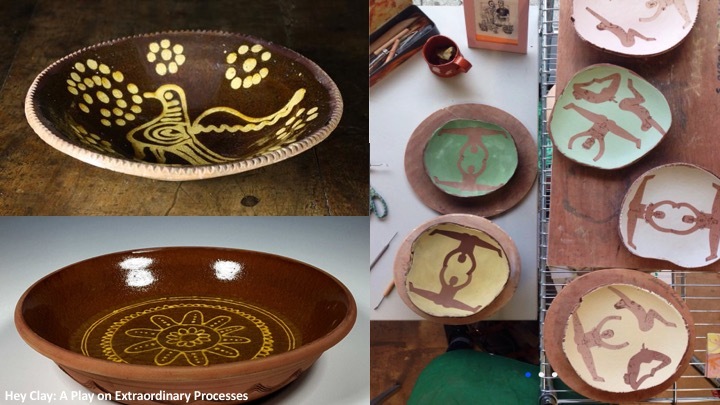 It brings knowledge of approaches and techniques to the public and I have been learning right alongside them gaining knowledge of how clay can be applied in a way that is fun and interesting for all involved. 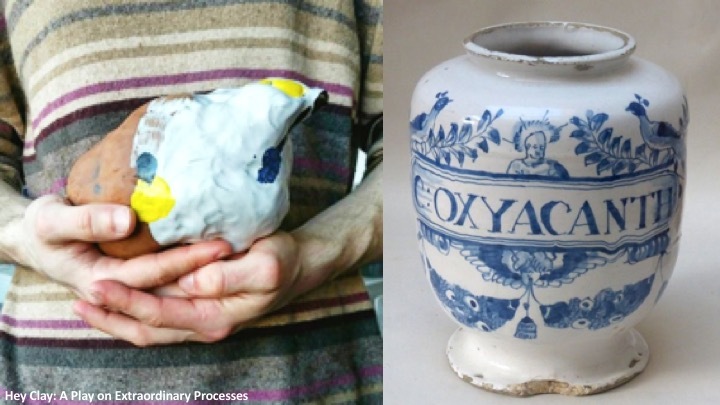 For me, this was most apparent in the ‘Play on Extraordinary Processes’ an event that shared a breadth of ceramic skills taken from historic examples and explored through contemporary application. Our main audience were children from the local Saturday club. 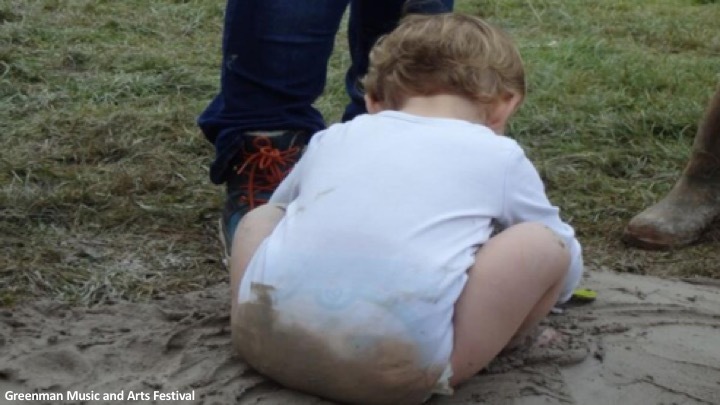 It was great to see the enthusiasm of both fellow students and the kids getting a bit mucky in the process! Far away from a dusty classroom the kids got to have a go and they ran with the opportunity, letting their creativity loose in an unpressured environment. It was great to be a part of. 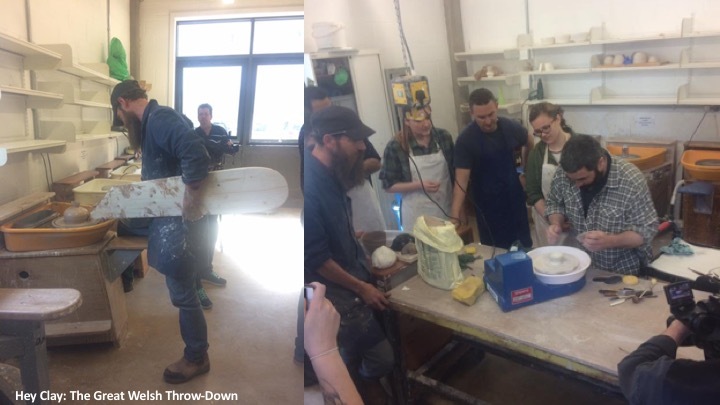 Hey-Clay is a great opportunity to learn something new in an environment where you can have a brew and a laugh with a bunch of interesting people and who wouldn’t find the value in that?